April serves as the site director. 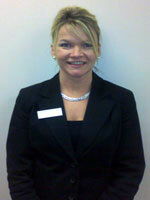 She has been employed by Spectrum Medical, Inc. (formerly Danville Orthopedic Clinic) since 2006. April has been a study coordinator since 2000. She is responsible for all regulatory submissions, budgets, and contracts. She oversees each research project and supervises research personnel. 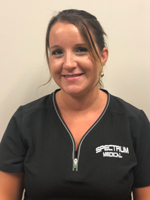 Tisha is a full-time study coordinator at Spectrum Medical, Inc. She coordinates all aspects of the study protocol under the direction of the Principal Investigator. She assists the investigator with daily study visits per protocol. Tisha graduated from nursing school in 2010 and has been a study coordinator since 2014. Susan is a full-time study coordinator. She coordinates all aspects of the study protocol under the direction of the Principal Investigator. She assists the investigator with daily study visits per protocol. 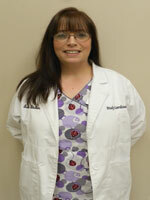 Susan has been employed by Spectrum Medical, Inc. (formerly Danville Orthopedic Clinic) since 2010. Carol is a full-time research assistant. She conducts study related tests and procedures as delegated by the Principal Investigator. She collects medical histories, demographics, vital signs, obtain EKGs, etc. She also assists with scheduling and recruitment for the clinical trials. Carol has been employed by Spectrum Medical, Inc. (formerly Danville Orthopedic Clinic) since 2013. Why Choose Our Research Division?